them having serious issues at that prime age. It is with a sad heart that I like to inform you that men especial African American men are very susceptible to prostate cancer at this age. Today's write up is centered on men this time. Possible symptoms are urinary problem (having little urine, finding it difficult to start or stop urine, frequently urinating etc), erectile dysfunction, blood in urine or semens, pain in the back, pelvic or lower abdomen etc. It is diagnosed by tissue biopsy. Initial examination may include rectal examination, ultrasonic scan and PSA (Prostate specific antigen) level. It is good practice for one to always examine him/herself. PSA is done yearly and rectal examination is highly recommend to patient with high PSA level. When one is 50 years, medical check up should be an habit. One TCM contribution to cancer is found in Ginseng and Ganoderma Lucidium. Some TCM company made theirs in form of tea. They are food supplement that helps in curbing cancer. Organo-Gold coffee uses them in their coffee and it's de-caffeinated. They call it healthy coffee. 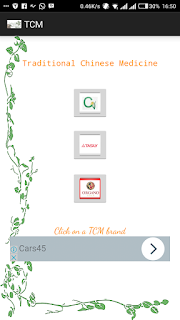 If you have the TCM mobile app, you could choose from a variety of healthy coffee and ginseng tea. They are mushroom with good health benefit. 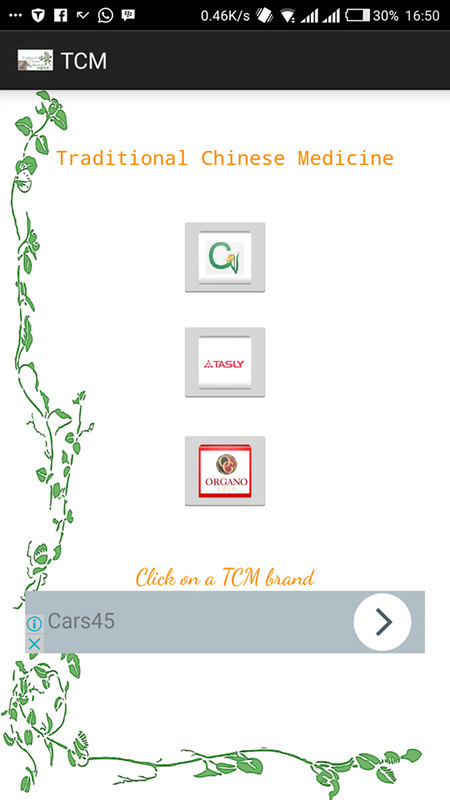 If you push the buy button on the TCM mobile app, it takes you to an online stores that offers payment on delivery. You could read about the product you order on the store and the disclaimers. One of which is TCM doesn't encourage patients to miss their doctors appointment. We could be viewed as dietician. For more about TCM and orthodox practices read our post on it. Download the TCM app to keep in touch with our post and for further understanding on TCM product and practices. Download via this link for quick search TCM.